The Family Club service of the resort offers a wide range of cuisine featuring up to 11 specialty restaurants to choose from, 7 of which require reservation and formal dress code. 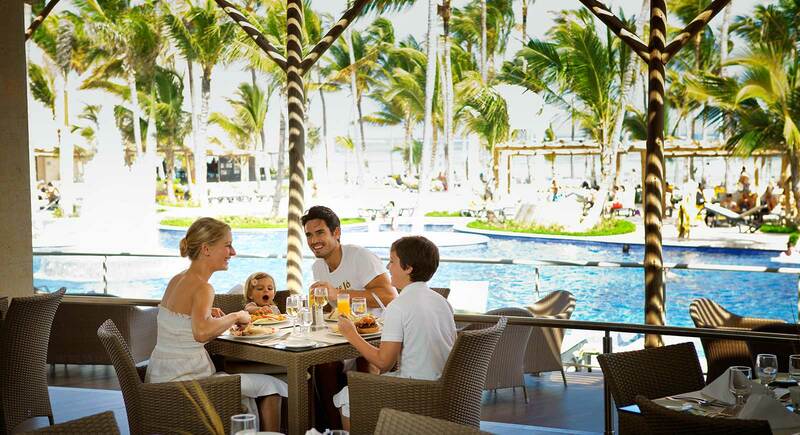 Each one of the Barceló restaurants is an unmistakable gourmet experience. Through them the guest is transported to different parts of the world, from the minimalist tradition of Japanese cooking to the passionate flavors of Mexico, going through the unique experiences of Spanish and Italian cuisine, the fun and ambiance of a steak house, or the special flavor of seafood, without forgetting the exquisite Dominican food and the impressive international diversity of its buffet. In addition, the spectacular French restaurant offers majesty and elegance; while the wine cellars for private dining (extra cost) complete the gastronomic offer. 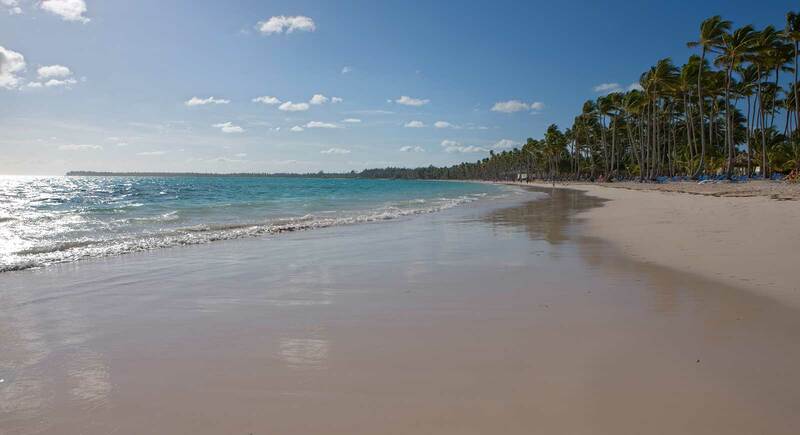 There is, quite simply, no other culinary offer in the entire Caribbean that can rival that of the Barceló Bávaro Palace. Sample quintessential Dominican flavor at this extraordinary and extensive buffet decorated in the vibrant yet intimate color scheme of the island’s folklore. À la carte restaurant specializing in fish and seafood. Prior phone reservation via customer service is required. The dress code is formal. Shorts, sandals or sleeveless T-Shirts are not allowed. Prior phone reservation via concierge is required. Reservations will be taken according to the table configuration and the shifts available. Group reservations for over 12 people are not accepted. You will be impressed by the country’s traditional dishes, which follow the original recipes and tastes of each region of Mexico. The colors of the Mexican flag have served as inspiration for the restaurant’s décor. Modern Asian fusion cuisine made with the highest-quality and freshest products on the market. You can also enjoy incredible teppanyaki tables as a couple or with friends, for various guests. In addition to avant-garde, innovative décor, you can enjoy the impressive Zen garden at the entrance. Enjoy one of the world’s best cuisines in this Spanish restaurant, where you can sample both meat and fish dishes accompanied by delicious vegetables. A wide and varied menu that can be enjoyed in the more casual ambiance of the bar, with delicious tapas and an impressive wine list. Charming French restaurant inspired by the Guignol puppet sets from Lyon at the end of the 18th century. You can enjoy the flavor and romanticism typical of French cuisine, as well as an extensive wine list. Prior phone reservation via customer service is required. Reservations will be taken according to the table configuration and the shifts available. Group reservations for over 12 people are not accepted. The restaurant is located on the golf course and it specializes in world class international cuisine. Casual dress is allowed for snacks. However, formal attire is required for dinner. American-style bar restaurant where you can enjoy tasty meals and refreshing drinks while listening to good music. 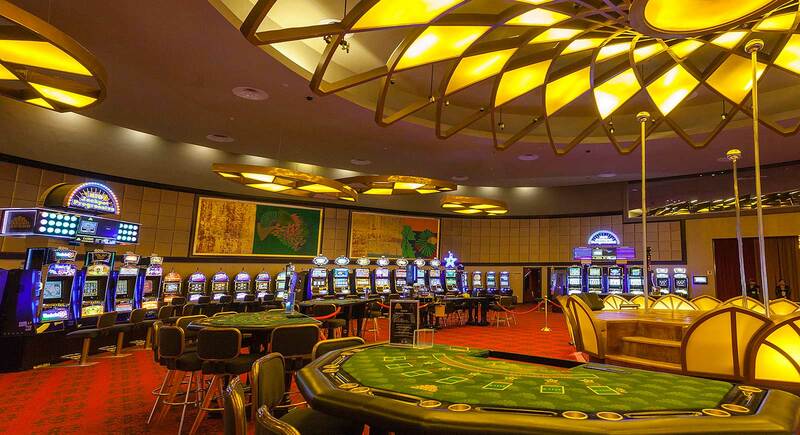 You will also be able to enjoy an impressive area in the shape of a stadium to enjoy watching sports games; you will feel like you are in the first row supporting your team while you enjoy the unparalleled service of our staff. Do you want more? We have pool tables and a bowling center. · Domestic drinks included. Premium drinks have an additional cost. La Cava is a private wine cellar with dinner accommodations; delight in some of the world’s best wines. At la Cava de la Comedie. At la Cava de la Comedie, the guest can choose between the gala menu of Las Cavas, or the Menú del Español or Comedie menu. Customers who reserve at la Cava de la Comedie will have their choice of 2 bottles of wine from the list provided by the hotel (minimum 10 people). At Cava del Steak House, the customer can choose between the Steak House, Sea Food or Dolce Vita menus. Coffee, rum and cigar lounge (for 18 and over only), located near the main lobby. Pool-bar located close to the Barcy Club.